Is your smile dull and boring? If so, why not rejuvenate your smile with cosmetic dentistry? 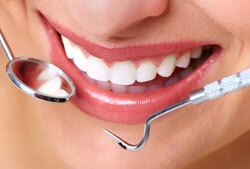 Now it’s possible to enhance your smile and make it better than what nature gave you. If your smile is showing your age, you can help both your smile and you look younger with cosmetic dentistry procedures. A professional teeth whitening treatment, the go-to solution for a brilliant white smile; professional teeth whitening can whiten your smile up to 8 shades whiter, and your results can last up to 5 years! That’s far more effective and longer lasting than over-the-counter products. Professional teeth whitening is safe too! It’s been rigorously tested for safety and effectiveness and approved by the American Dental Association. Cosmetic bonding and tooth-colored fillings, both of these procedures use composite, a liquid resin that can be perfectly color-matched to your teeth and sculpted to match the natural contours of your teeth. Once the liquid resin is placed, it’s hardened with a blue dental light. You now have a strong dental restoration that blends into your smile. Porcelain veneers if you want to dramatically enhance your smile; veneers are thin laminates that are cemented to the front surfaces of your teeth. They can hide fracture lines, cracks, erosion, discolorations, tooth wear, and other aesthetic issues that are detracting from your smile. Porcelain has a light-reflective quality, just like tooth enamel, so your smile will look beautifully natural. These are just a few of the many cosmetic dental procedures available to help you rejuvenate and enhance your smile. To get started, call Dr. Matthew Roper and Dr. Matthew Scheerhorn at Ocotillo Trails Family Dentistry in San Tan Valley, Arizona for a consultation. 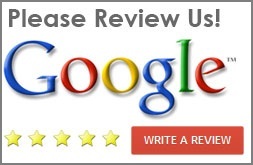 You deserve a great smile, so call today! 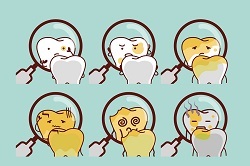 Find out what really happens to a tooth when a cavity develops. Even though a cavity (sometimes referred to as dental caries) is completely preventable, it is still the most common oral disease to affect both children and adults. 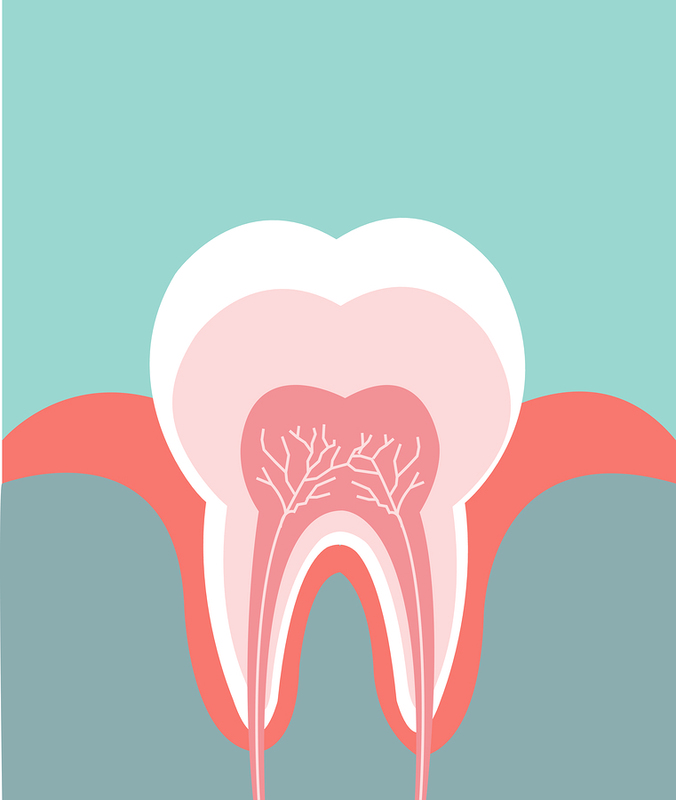 So, what is a cavity exactly and why do they form? How can I prevent a cavity from happening to my child or myself? Our Queen Creek, AZ, cosmetic dentists Dr. Matthew Roper and Dr. Matthew Scheerhorn are here to explain. The crown of your tooth is made up of a layer of dentin and an outer layer, known as tooth enamel. While enamel is the strongest substance in the human body, even it can fall victim to damage. Throughout the day the foods we eat mix with the bacteria in our mouths to create a sticky film over teeth known as plaque. The foods you eat can increase the amount of plaque develops on teeth. Foods that are starchy or high in sugars are more likely to increase plaque buildup. The bacteria then turn these foods into acid, which destroys tooth enamel. Since the acid is contained within the plaque this means that as long as plaque remains on teeth the acid will continue to damage the enamel. The best way to reduce plaque buildup is to be conscientious of what you eat. Stay away from starchy foods such as white breads, pastas and potatoes, as well as sugary foods and drinks (e.g. sodas; sports drinks; desserts). Besides eating a smile-friendly diet you also want to make sure you are brushing your teeth at least twice a day (once in the morning and again at night right before bed), as well as flossing your teeth. When you do brush, make sure that you are brushing every surface of your teeth and spending at least two full minutes brushing. While most people do brush their teeth every day, not everyone is as good about flossing as regularly. Without floss, you only get a small percentage of your teeth clean and you won’t remove plaque buildup from the sides of your teeth and along the gumline if you don’t floss regularly. Ocotillo Trails Family Dentistry in San Tan Valley, Arizona and serving Queen Creek, is dedicated to providing you and your family with the comprehensive dental care they need to maintain healthy, cavity-free smiles. No matter whether you want to discuss ways to protect your smile from cavities or you need to schedule a routine cleaning, do not hesitate to call our office. 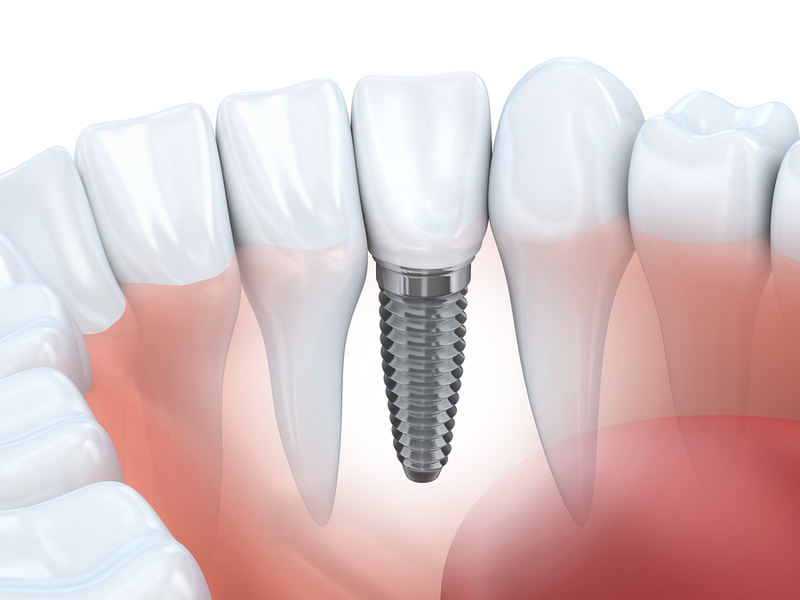 Root canal treatment is used to repair teeth that are infected and badly decayed. During the procedure, the pulp is removed, and the tooth is cleaned and sealed. Dr. Matthew Roper, Dr. Nathan McLaws, and Dr. Matthew Scheerhorn at Ocotillo Trails Family Dentistry in San Tan Valley, AZ, offers a full range of dental services. Here are five signs you may need a root canal. Severe tooth pain upon chewing or application of pressure is a sign that you may need root canal treatment. A root canal is done to eliminate that pain. Root canals are nothing to fear. 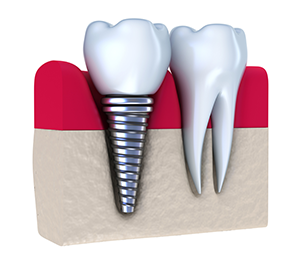 Your San Tan Valley dentist will use local anesthesia to numb the tooth and surrounding area. Local anesthesia is a type of anesthetic used to prevent pain during treatment. Many people have reported that root canal treatment is no more painful than getting a dental filling. 2. Cold and hot bother you. Prolonged sensitivity to hot and cold foods and beverages is a sign you may need root canal therapy. Tooth sensitivity causes pain when the tooth is exposed to cold and hot temperatures through beverages and foods. Your tooth will no longer be sensitive to cold and hot foods and beverages after the procedure. If you have swollen gums, you may need a root canal. The inflammation can range from being slight to pronounced. In severe cases, the inflammation may extend into your face and/or neck. Gum inflammation is often associated with infection, but it doesn’t always mean an infection is present. 4. You have a bump on your gum. If you have a pimple-like bump or swollen area on your gum you may need a root canal. The bump may disappear and then come back. This bump is an accumulation of pus, which is associated with infection. Your dentist will treat this by performing a root canal. The bump will not disappear until your dentist repairs your tooth. One discolored tooth is also a sign that a root canal is needed. When the roots of the tooth that requires a root canal have died, the tooth may turn brown, dark yellow, gray, or black. Tooth discoloration can also be caused by injury or damaged dental filling, so visiting a dentist for a checkup is recommended if you have a darkened tooth. If you need a root canal, why wait? We can help you today! Ocotillo Trails Family Dentistry at 480-457-1977 today to schedule a dental appointment in San Tan Valley, AZ. If you need a root canal, don't wait. Delaying a root canal will only lead to prolonged pain, suffering, and tooth loss.